In Manhattan, the penthouse has come to serve as an indicator of wealth and power, a symbol of its owner’s almost-mythic level of lavish living. These opulent aeries first began to appear in the 1920s, coinciding with the historic rise of the skyscraper. As buildings crept higher and higher, the ultrawealthy traded in their townhouses in favor of top-floor abodes, where light and city vistas were abundant. 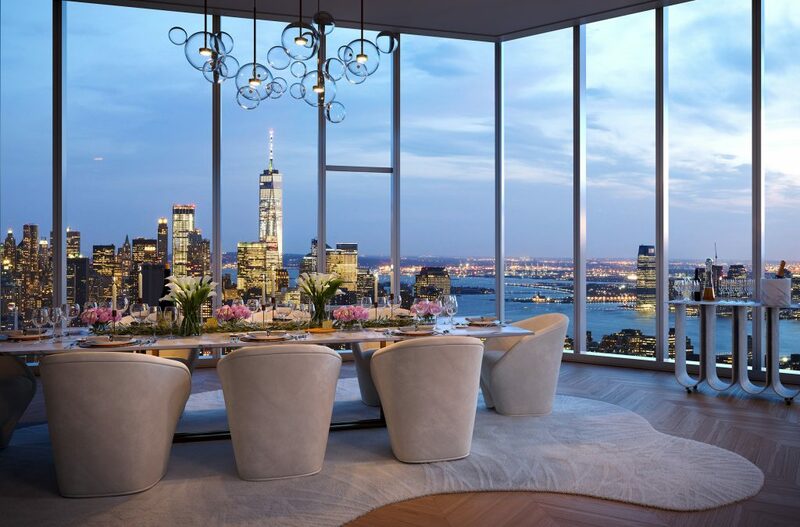 Thanks to a host of new developments, New York now boasts some of the most over-the-top penthouses imaginable, many created by the world’s best architects and designers. See below for a peek inside the highest-priced listings currently on the market. 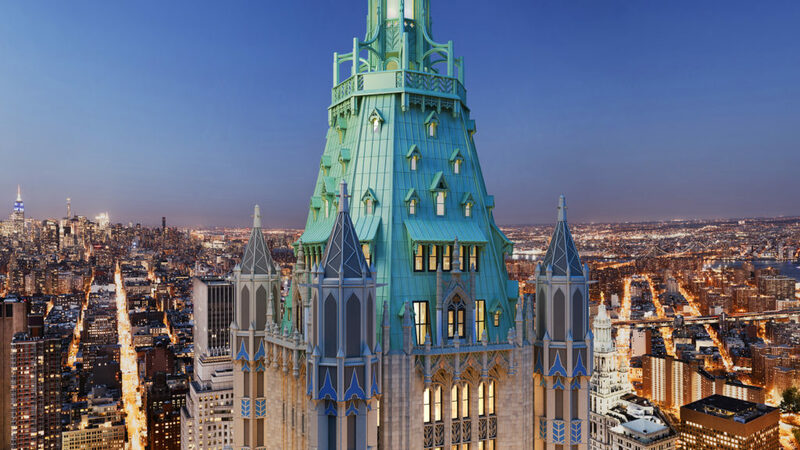 Among New York’s most iconic skyscrapers, the 58-story Woolworth Building stands out for its romantic interpretation of Gothic ideals, with terra-cotta gargoyles, flying buttresses, and, of course, an elegant verdigris crown. Spread across five floors, the entire pyramidal cap (dubbed “The Pinnacle”) is now available as a private residence for the first time, making it the city’s priciest active listing. 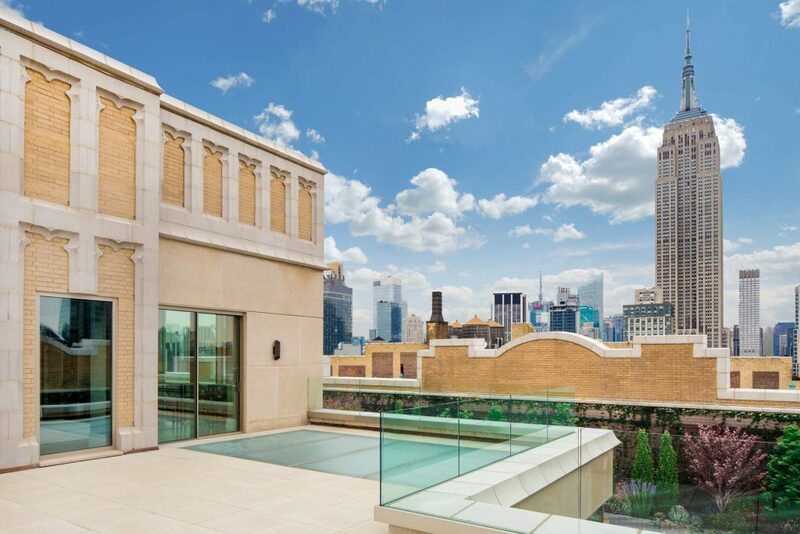 The 9,700-square-foot aerie is being marketed as a raw space or, as broker Stan Ponte puts it, “designer-ready,” while its exterior has recently been painstakingly restored. Occupying the entire 45th floor (and half of the 44th) of the Atelier in Hell’s Kitchen, this 15,000-square-foot listing actually encompasses 13 units that can be combined to create one enormous home. But the residence has made headlines for the lavish perks that are included in the deal, among them a $1 million yacht, a pair of Rolls Royce Phantoms, a Lamborghini Aventador Roadster, weekly dinners at Daniel Boulud’s acclaimed restaurant Daniel for one year, court-side season tickets to the Brooklyn Nets, and two seats on a voyage to outer space. “I wanted to offer a lifestyle where someone can jump straight into being a New Yorker,” says Daniel Neiditch, president of River 2 River Realty, which developed the tower. Soaring over 750 feet above Madison Square Park, this 13,000-square-foot triplex is located within Kohn Pedersen Fox’s latest skyscraper, located on East 22nd Street and Park Avenue South. 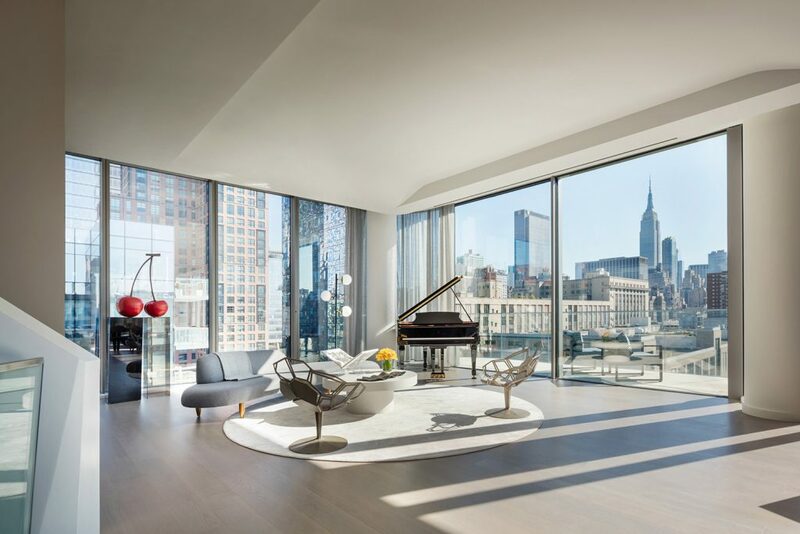 Although it is delivered as a raw space, designers Thomas Juul-Hansen, Lee F. Mindel of SheltonMindel, and Ryan Korban have each contributed an interiors scheme that gives buyers a taste of the unit’s potential. In addition, the sale comes with two studio apartments elsewhere in the building. Completed in 1927 as an upscale hotel, the Sherry-Netherland has long telegraphed Upper East Side opulence and Old New York from its location directly on Central Park and with features like the private dining club Doubles. Boasting sweeping views, this full-floor residence is accessed by three private elevators and contains seven bedrooms as well as three expansive terraces. 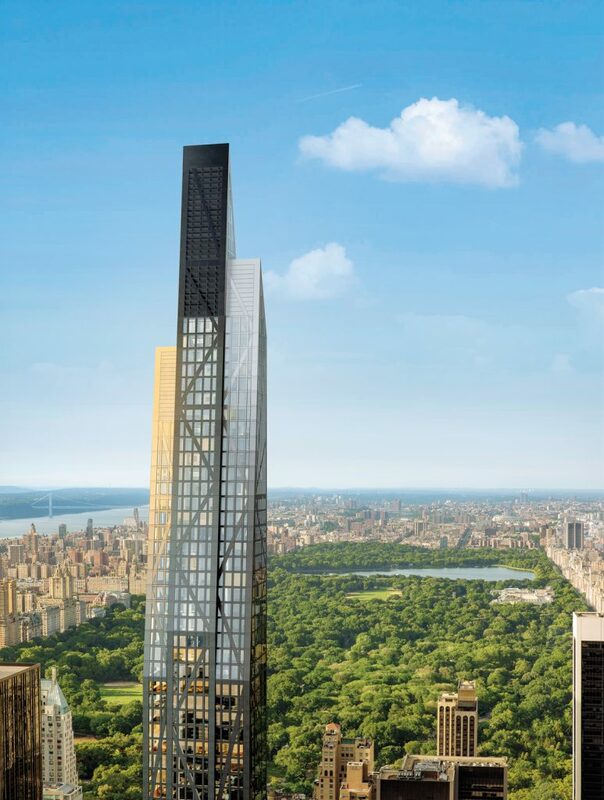 Located in midtown a few blocks south of Central Park, Jean Nouvel’s striking residential tower above the Museum of Modern Art is rapidly nearing completion. 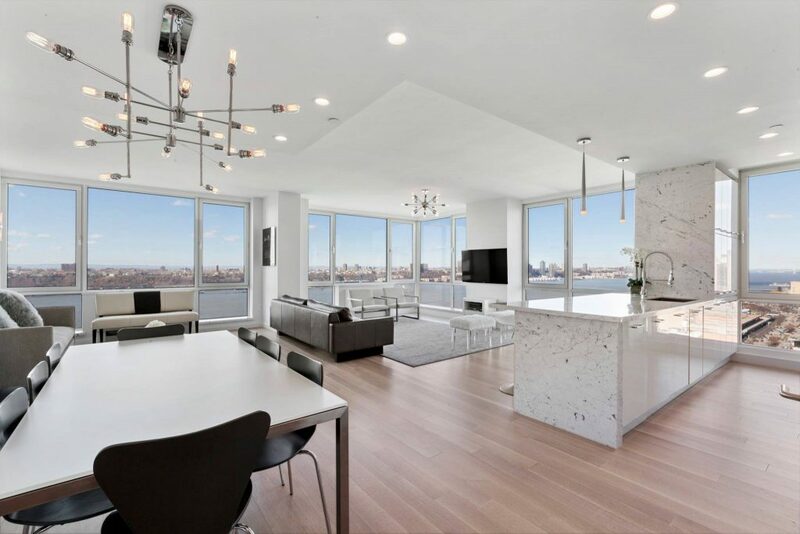 Perched on the 76th and 77th floors, this four-bedroom duplex is spread across nearly 8,000 square feet. 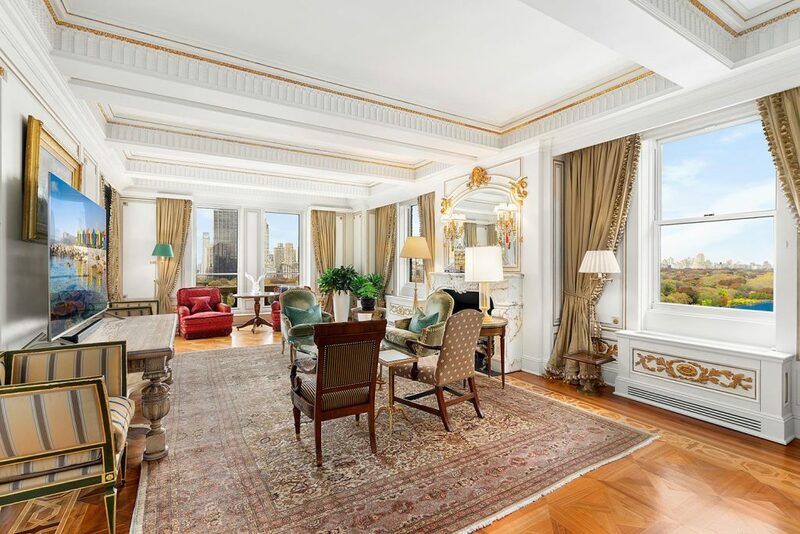 Located on the northwest corner of Madison Square Park, this five-bedroom penthouse crowns 212 Fifth Avenue, a neo-Gothic masterpiece built in 1912. With over 10,000 square feet of interior space (and 5,700 square feet of terraces), the residence boasts such luxuries as a grand ballroom and an observatory that opens onto a sprawling rooftop garden. Occupying the top four floors of a cast-iron SoHo landmark, this four-bedroom abode dates to 1873 and recently underwent a total overhaul by AML Architecture along with the firm Roman and Williams. The 8,000-square-foot residence now comes equipped with 4,000 square feet of outdoor space that even includes a spa. Thanks to its swooping space-age design, Zaha Hadid’s only completed New York building never fails to cause a pedestrian traffic jam on the High Line. Inside, the 11,100-square-foot triplex is linked by a sculptural spiral staircase and offers breathtaking views of the Empire State Building. And if proximity to the High Line isn’t enough, the seven-bedroom condo even comes with its own 3,900-square-foot roof terrace that’s perfect for a private garden. 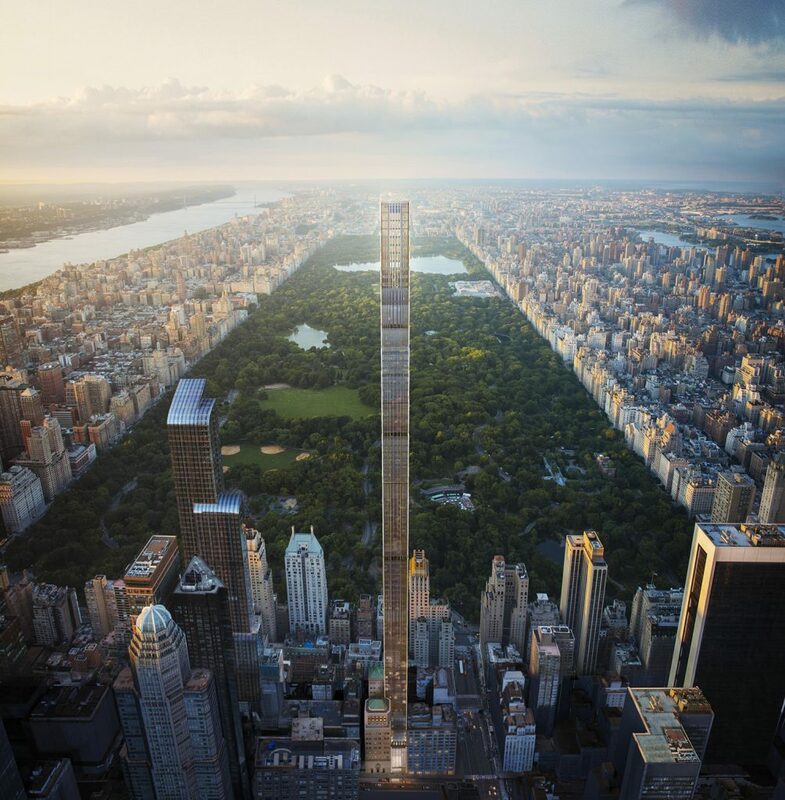 Set to become New York’s second-tallest residential building, SHoP Architects’ 111 W. 57th Street is currently under construction two blocks south of Central Park along a strip known as Billionaires’ Row. With interiors thoughtfully designed by Studio Sofield, the 7,100-square-foot duplex comes with five bedrooms, 14-foot ceilings, a private elevator, and luxurious finishes like Crystallo quartzite, gray onyx, and white Macauba stone.